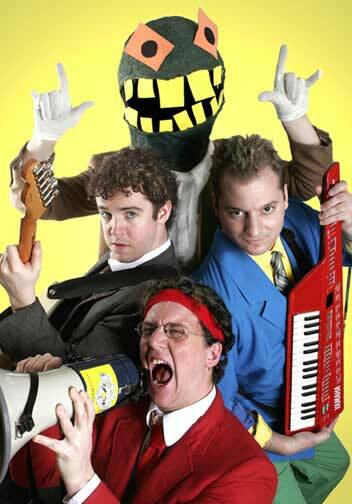 Uncle Monsterface may be the best band name ever. It may also be the worst. That’s kind of the point. They don’t do “serious” music; they do “serious party bizness” (their words). These lightsaber-headband-cruse ship buccaneers incorporate puppet shows into their concerts. Their mascot is a paper-mache lizard head. They wrote one song titled “Mashed Potato Vs. Vampire.” They wrote another about the guy who invented Dungeons and Dragons. They play with Harry and the Potters a lot. You get the idea.